Every home needs a driveway. 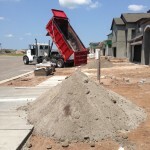 Most homes have a concrete driveway. Why is that? Concrete is the cheapest and quickest solution for builders to install. 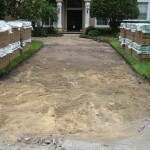 On average in South Florida, you can pour a concrete driveway for about $3 a square foot. If you’re lucky, the builder installs wire mesh rebar in your cement prior to pouring the slab. In my years in the construction business though, I’ve never seen a contractor compact the soils beneath the would-be driveway. Generally, it goes like this – dig out the driveway area to about 4 inches in depth, put wood around the perimeter to contain the wet cement, lay down a wire mesh, pour the concrete, and finish the surface. Sounds easy right? Well, what about the absolute guarantee that your brand new driveway WILL eventually crack. Concrete doesn’t flex. 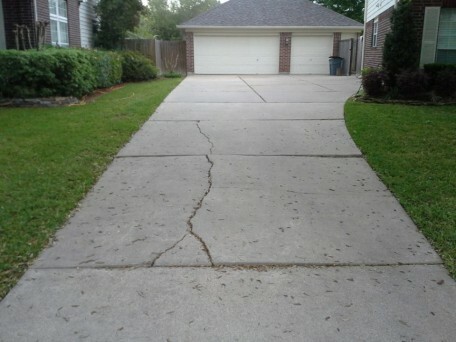 Even with the added support of rebar mesh wire, thin concrete driveways cannot withstand the pressure of vehicular traffic over time. Pavers on the other hand can. 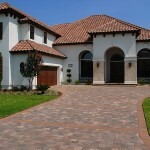 Furthermore, pavers are guaranteed against cracking by the companies that make them for 25 years. The same cannot be said about the concrete driveways. All in all, pavers are much more resistant to cracking than large concrete driveways are. That’s why paver manufacturers warrantee their products. 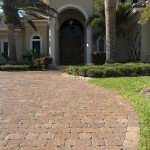 Pavers add so much more curb appeal than concrete and they cost anywhere from $1 to $2.50 more per square foot. Most 2 car driveways are 16 to 18 feet wide by 20 to 30 feet long. Let’s take the biggest example, 18′ x 30′. That’s a total of 540 square feet. So, for an additional $500 (new construction) to $1350 (existing driveway) you can get a product that will last longer and look better. This is the best money you can spend on making your home’s curb appeal look better.